[193 Slides Report] Choline chloride is an organic compound. It is used in the animal feed additive. It is mainly related with the metabolism and act as methyl donor. It builds and maintains cell structure and function. It is very essential for growing animal and its feed intake helps in preventing perosis, conditions like fatty liver syndrome, etc. Apart from animal feed additive, choline chloride market also finds application in human nutrition and as a clay stabilizer in oil and gas industry. The factors driving growth in the choline chloride market are increasing consumption of poultry meat and egg, growing demand for meats in the Asia-Pacific region, and increasing awareness for feed supplements among the end-users. The market is anticipated to experience huge growth due to enormous potential offered by these drivers. Choline chloride manufacturers mainly focus on capacity expansion to expand their penetration into new applications as well as deepen their geographical penetration. Expansion into growing markets such as Asia-Pacific, Brazil, and Middle East has been and will be the key success for choline chloride producers if they intend to increase their overall sales. 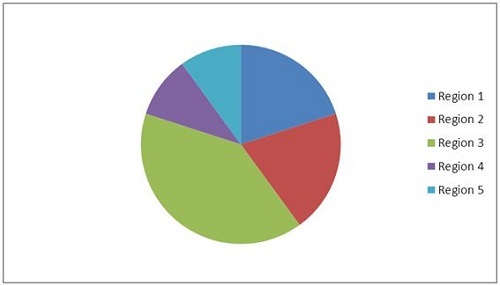 The report covers the global choline chloride market in major regions namely Asia-Pacific, North America, Europe, Latin America, and Middle East & Africa for major end-user markets such as poultry feed, swine feed, aqua feed, human nutrition, and oil & gas industry and other miscellaneous applications. This report analyzes various marketing trends and establishes the most effective growth strategy in the market. It identifies market dynamics such as drivers, restraints, opportunities, and winning imperatives. Major companies such as Balchem Corporation (U.S.), Taminco (Belgium), BASF (Germany), Algry Química (Spain), Havay Chemical Company (China), NB Group Co., Ltd (China), and Jubilant Life Science (India) have also been profiled. This report also includes the leading manufacturers’ profiles such as Balchem Corporation (U.S), Taminco (Belgium), BASF (Germany), Algry Química (Spain), Havay Chemical Company (China), NB Group Co., Ltd (China), Jubliant Life Science (India), and others. Choline chloride is used as an important feed additive in animal species, especially chickens. Significant volumes of this compund are used in feed for poultry, swine, ruminant, aqua, pet, and horse. It is also known as vitamin B4 although it is required in a much higher level than vitamins. It helps to maintain cell membrane integrity and normal maturation of bone cartilages, thus preventing perosis. Its other functions include prevention of abnormal fat accumulation, and as precursor of acetylcholine synthesis. Choline chloride is sometimes used as a supplement in human nutrition. Choline chloride is also effectively replacing potassium chloride in oil and gas industry, where it is used as a clay stabilizer. Choline chloride is environment friendly as a clay stabilizer as compared to potassium chloride. The market is driven by the increasing demand for high yield of meat, egg, and milk products from animals (poultry, swine, and ruminants) and also with good quality, along with the huge demand from the oil and gas applications. The demand for choline chloride is also increasing in the aqua feed application as the aqua feed industry is showing high growth. The penetration of choline chloride is low in developing regions and these regions will be showing high growth in the future as awareness increases. Asia-Pacific region dominated the market volume in 2013, globally. U.S., China, Brazil, India, and Russia are the major countries with a huge demand for choline chloride. Asia-Pacific region is also expected to show the highest growth rate of 6.4% from 2014 to 2019 for the overall market. Big market players concentrate on expanding their geographical reach while small players are mostly regional in nature. Major players are also focusing on capturing market share in new applications by joint ventures. The choline chloride market is anticipating high growth from low penetrated applications and regions. One of the major problems is the price fluctuation of raw materials. The report analyzes the market on the basis of major applications, penetration of choline chloride in all regions, and every end-user market. It also covers the market behavior of leading producers, key developments, and strategies implemented to sustain and succeed in the market. 8.4 Jubilant Life Sciences Ltd.
8.11 Nb Group Co. Ltd.